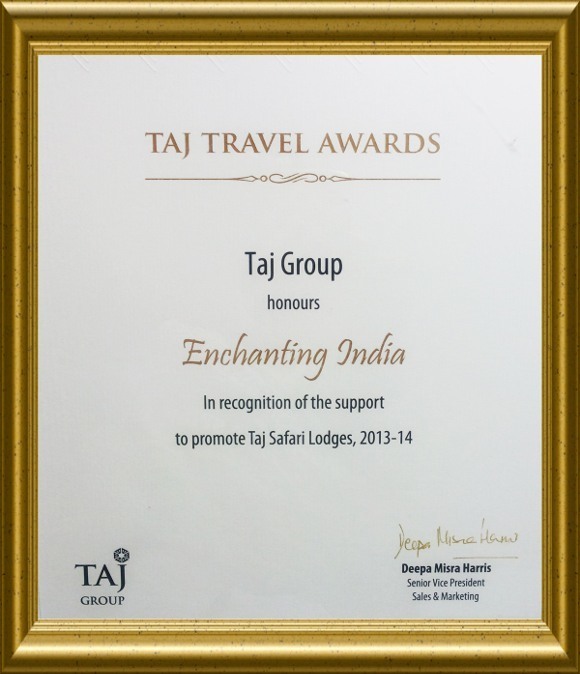 Enchanting Travels has won its third industry award, from the Taj Group of Hotels India, for being one of its top three partners in promoting their luxury wildlife lodges, Taj Safaris. 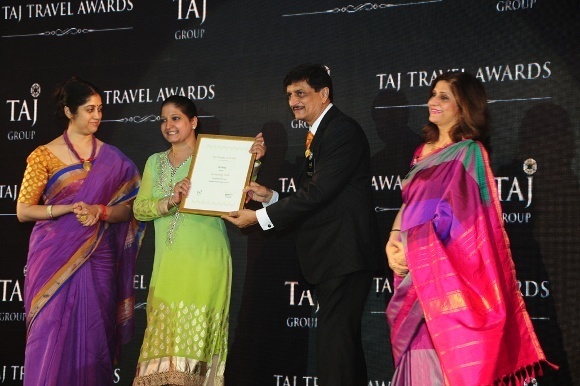 Sarika Chopra, who manages the English Trip Coordination team that ensures all our guests have full on-the-ground support, represented the company and picked up the award on Friday 25 July 2014 at the Taj Travel Awards evening in India’s capital, Delhi. 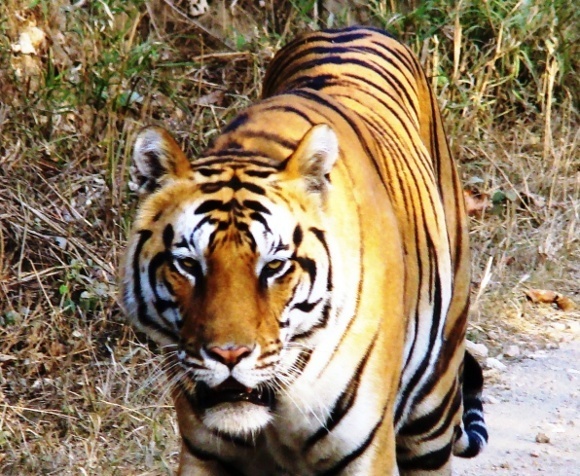 This is a particularly great region to spot tigers on safari.